The Hastings Deerstalkers Club was formed in March 1951, originally under the Hawkes Bay Branch of the NZDA, alongside the Napier & Tutira clubs. Today all three clubs are recognised as stand alone branches within the national organisation. The traditions and rivalry between the clubs of the old Hawkes Bay Branch are still kept alive through inter-branch competitions and annual prize giving dinners. 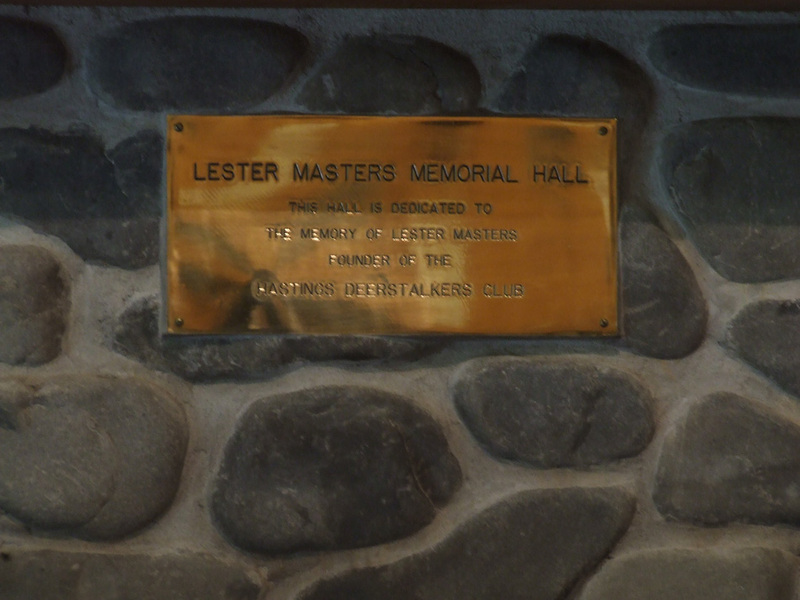 The Hastings Deerstalkers' Club, Lester Masters Memorial Hall. The hall was opened on February 21, 1974, by Mr E. J. Herrick, son of the famous New Zealand hunting identity. The new Hastings Deer Stalkers' Club Rooms - opened June 2003. The Lester Masters Memorial Plaque from the old hall repositioned at the new club rooms.